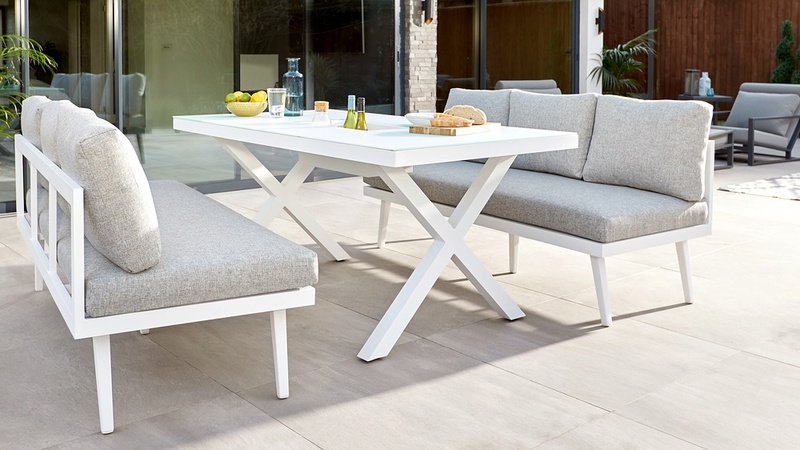 The Rio White with Palermo 3 Seater Bench Dining Set will instantly brighten up your garden space. 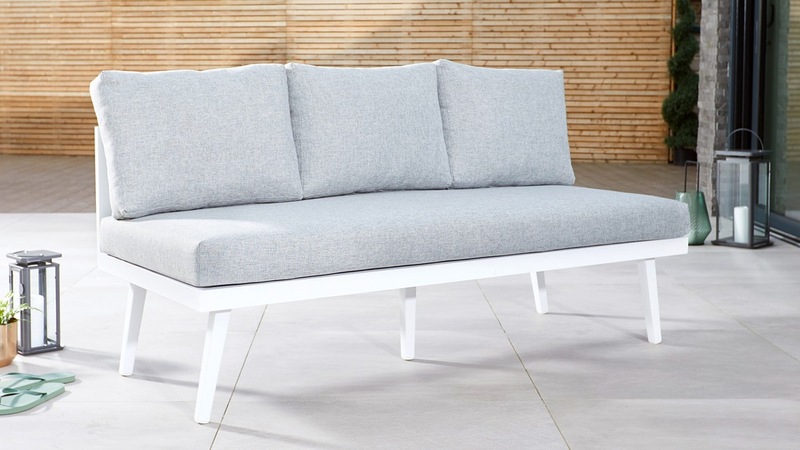 This six seater set will create the perfect spot for all those summer BBQs and big get togethers. 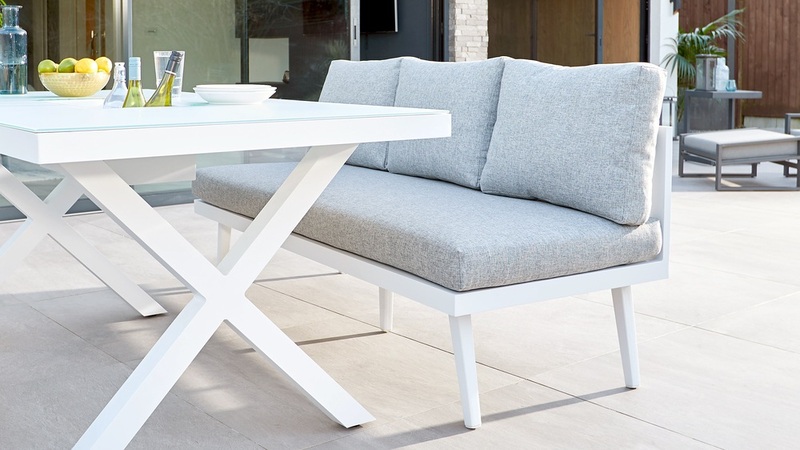 The Palermo bench offers style and versatility as you can easily move it around your garden to suit. 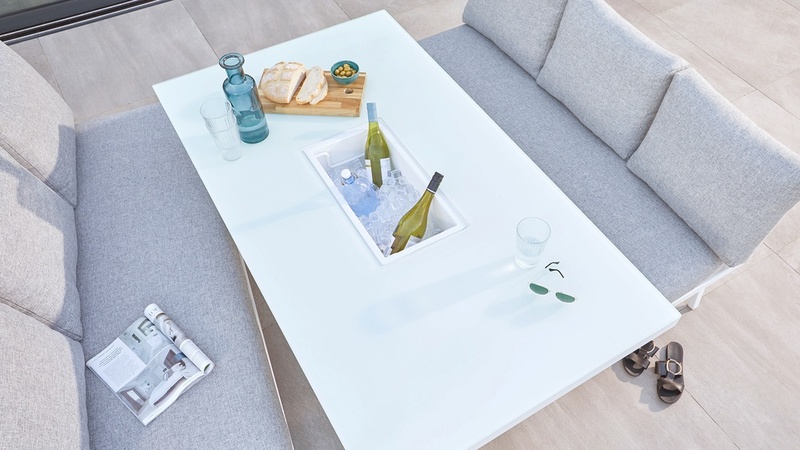 The Rio table will give your garden a fresh, cool and contemporary vibe with its sleek frosted glass top and funky ice bucket. The seat cushions for the Palermo bench are constructed of a foam and fibre filling. We've chosen the same foam density that we use for our interior seating but with an added layer of fibre to create a softly wrapped look. 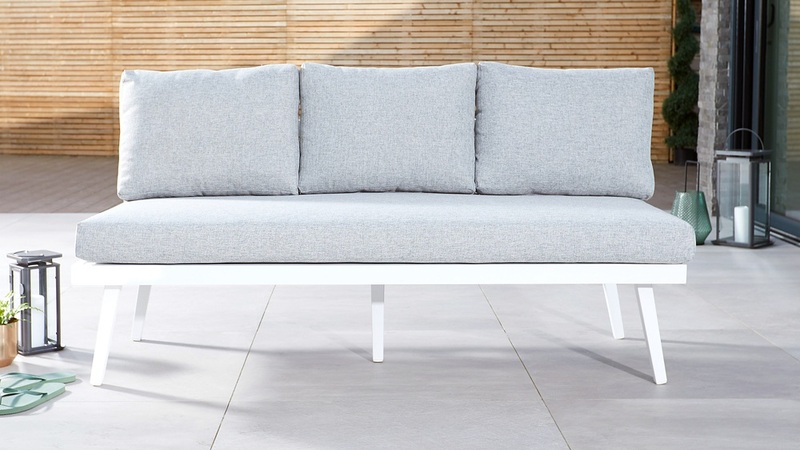 The plump cushions give this bench a level of comfort you'd expect to find indoors. 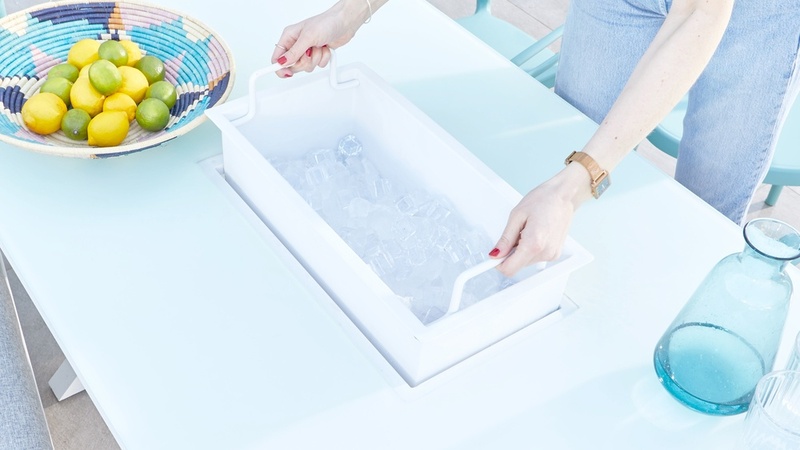 Our in-house designer added a little bit of summer fun to the Rio table with a central drinks bucket where you can keep drinks ice cold. The bucket can easily be removed for cleaning and emptying using handles that tuck away neatly. 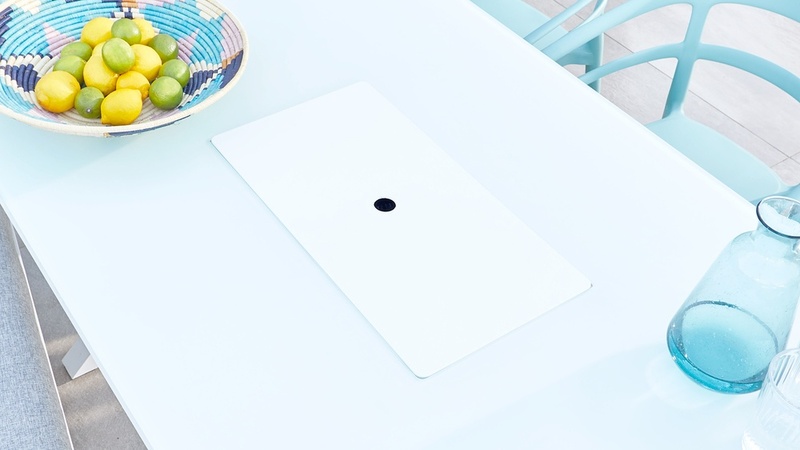 When not in use, there’s a convenient cover that sits flush with the table top, so you can still use the whole surface. 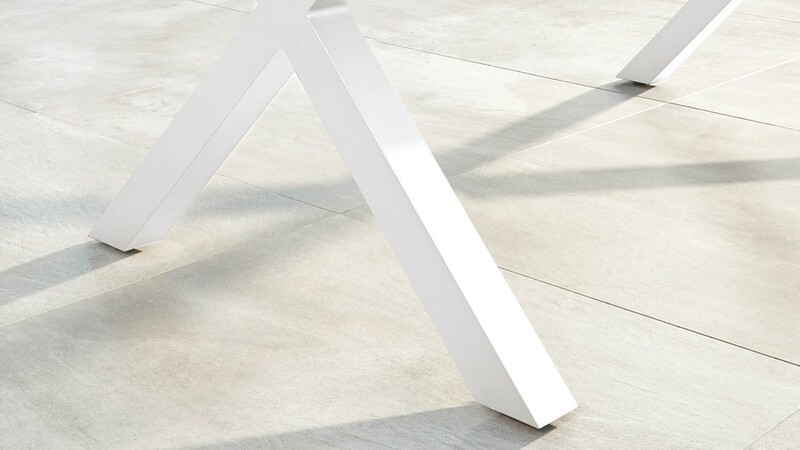 We know that not all garden surfaces are totally flat, so we’ve given the Rio Garden Table adjustable feet, to avoid a wobbly table. This will not only protect your flooring but makes it easier to keep the table level on uneven floors. The curved back of the Alma Garden Chair is a subtle design feature that makes the chair really comfortable and provides back support when seated, meaning you can relax with family and friends all summer long. 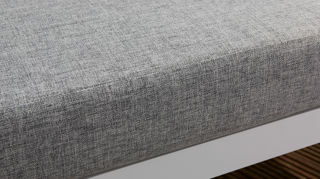 The showerproof coating on the melange fabric bench cushions means that light rain or moisture will not be absorbed into the material, so you won't have to take the cushions in every time there's a light shower. This also makes the cushions easy to clean and maintain as any spills will just roll off of the surface. 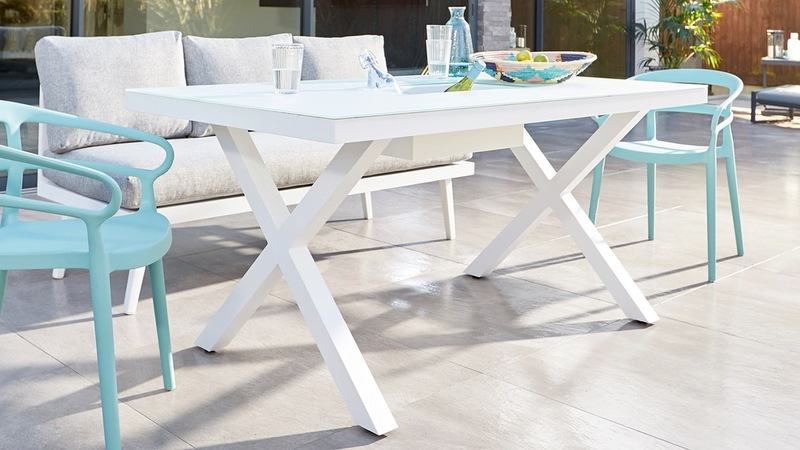 The Rio Garden Table has a 6mm thick tempered glass top which sits on the frame with anti-slip pads. 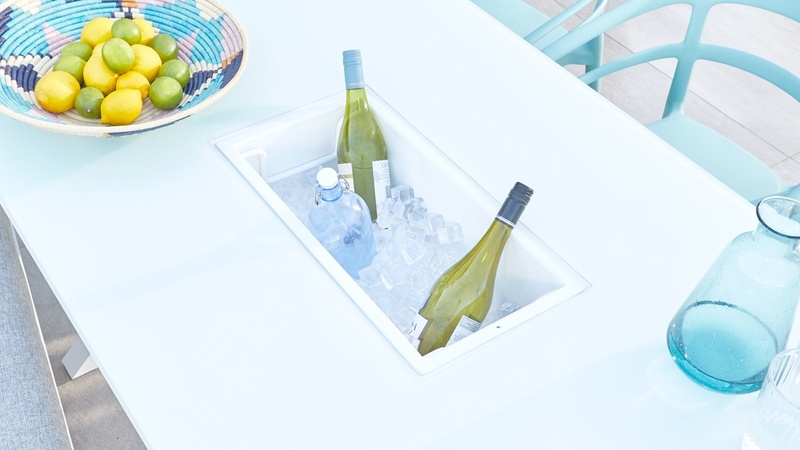 A frosted glass surface has a hazy and soft appearance, which isn't overly reflective meaning you won't get a glaring reflection from the sun. The Alma Garden Chair is made from molded Polypropylene, making it wipeable and easy to clean, either with warm soapy water or an antibacterial spray if needed. The smooth plastic surface is also water resistant making the Alma dining chair low maintenance, hygienic and a great choice for busy families. 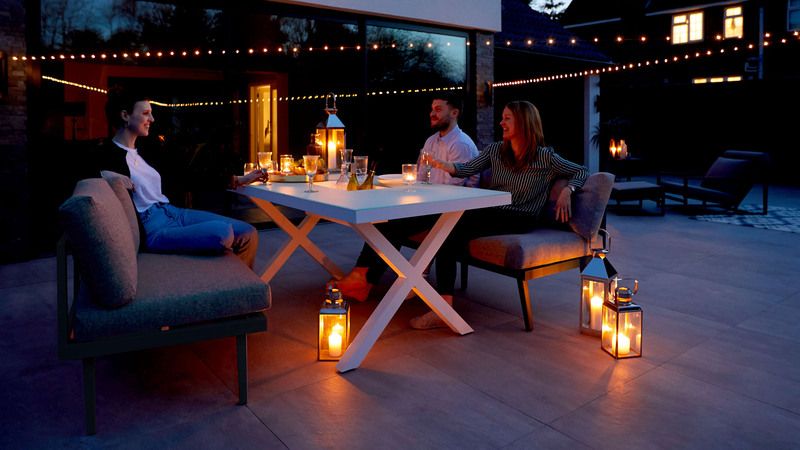 If you like the look of the Palermo Bench why not consider adding the Palermo backless bench or corner bench to extend your dining setting further.